Color: MultiCamCoyote This item is currently out of stock! The CiloGear 26Z Tactical WorkSack developed from our 26Z Alpine Team WorkSack, and grew into a more general purpose zip top pack to carry on short jaunts. The pack in the photo is an early variant of our 26Z Alpine Team WorkSack. 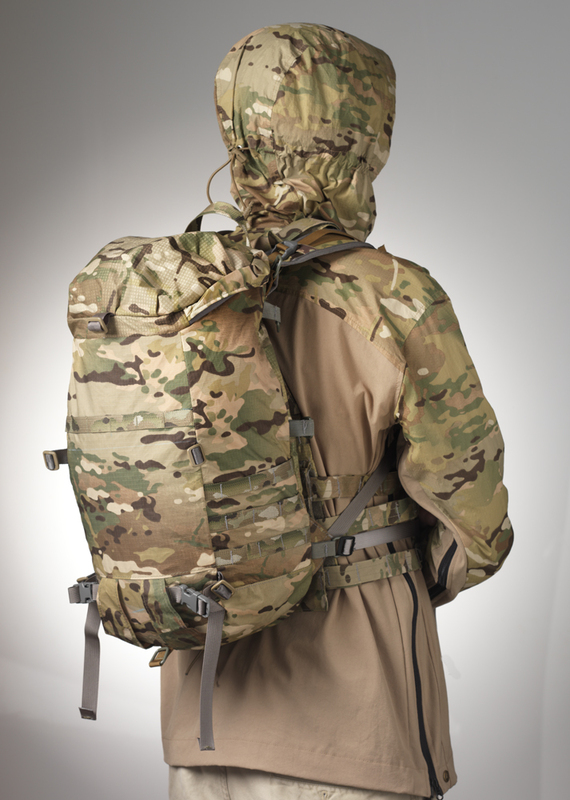 This pack can be used as a lid for our 75L Sustainment WorkSack or by itself as a day or summit pack. The 26Z Alpine Team WorkSack has 3 PALS stripes on the low sides of the pack and carries ice tools or axes in the front holsters. 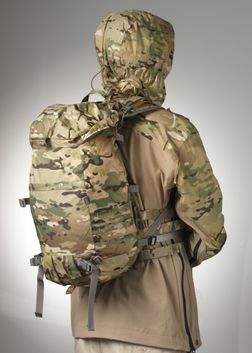 The pack has fixed shoulder straps and load lifters. It is designed to ride high against plates, using the plates themselves as the frame system. A hipbelt is not recommended with this pack as the pack rides quite high on the user's body. We carry other colors. Please contact us at 503.305.3858 for more information on what we can currently make in different colors or patterns.